The Pitchford Inquiry in the UK is investigating all undercover police operations conducted by English and Welsh police forces in England and Wales since 1968. 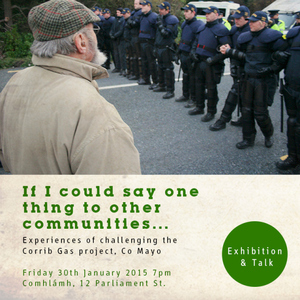 Shell to Sea, the County Mayo-based group that fought the building of a natural gas pipeline through the village of Kilcommon, Erris, are calling for the Minister of Justice, Francis Fitzgerald to seek that the inquiry include the activities of undercover police in Ireland. 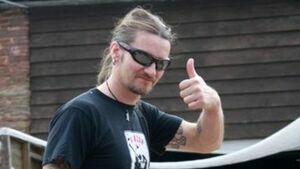 The German Government, the Scottish Government and Northern Ireland’s Justice Minister, have all called for the remit of the inquiry to be widen to include the activities of the undercover British police in their jurisdictions. Shell to Sea have also made a submission to the Pitchford Inquiry and British Home Secretary seeking the terms of the inquiry be extended to include Ireland. 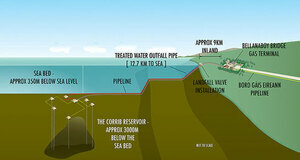 Shell to Sea submtted the following questions to Minister Fitzgerald. 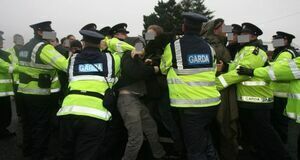 How many and which undercover British police officers targeted protesters opposing the Corrib gas project? 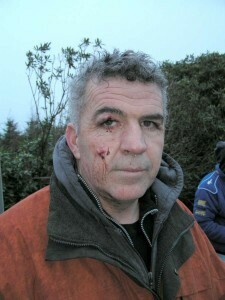 Who paid for Mark Kennedy’s undercover work in Ireland? Did any of the money come from the Irish Exchequer? What details were the Gardaí and other State bodies given on Mark Kennedy’s undercover operations prior to him being deployed in Ireland? Posted in Misc and tagged Mark Kennedy, Shell To Sea at 2:55 pm on December 16, 2016 by Broadsheet. [Willie and Mary Corduffi, of Rossport, Co Mayo. In 2007, Willie was jailed for his part in anti-Shell pipeline protests and was awarded the Goldman Environmental prize in 2009). Last weekend’s Airing Erris’ seminar about Corrib gas media coverage organised by the peace and justice group, Afri (Action from Ireland) iincluded an address from former producer/editor at RTE and author, Betty Purcell. 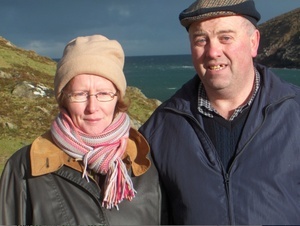 “in 2009, she proposed and scheduled 21 documentaries and only one, ‘Living on the Edge’, a Would You Believe programme about Willie and Mary Corduff’s life on their farm in remote Rossport, was questioned and challenged by management. It was even suggested, she said, that because TV3 were about to do a documentary on Corrib ‘maybe we should leave it to them’. 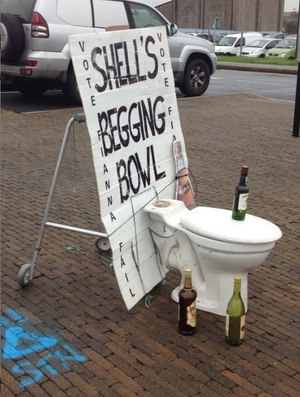 Posted in Misc and tagged RTE, Shell To Sea at 2:55 pm on March 19, 2014 by Broadsheet. 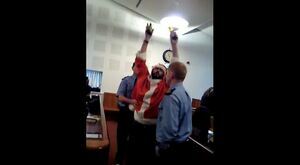 Posted in Misc and tagged Belmullet District Court, Shell To Sea at 6:38 pm on December 12, 2013 by Admin. In a setback for the Shell Corrib gas pipeline project, the Environmental Protection Agency, which issued the licence last June, conceded in court that a Mayo man was entitled to an order quashing the licence because of defects in carrying out an Environmental Impact Assessment. 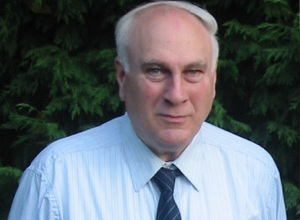 Mr Justice Peter Kelly granted the order to Martin Harrington (above) of Doohoma, Ballina, Co Mayo, after the EPA said it was not opposing his challenge to the licence issued by the agency to Shell E&P Ireland. The EPA will also pay Mr Harrington’s costs. 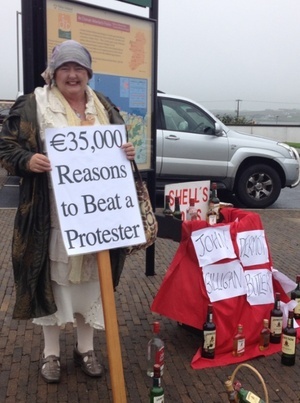 Shell E&P Ireland told an earlier court hearing that this case had “significant potential commercial consequences” for the €2.7bn Corrib gas project. Posted in Misc and tagged Shell To Sea at 9:59 am on October 16, 2013 by Broadsheet. Outside Belmullet courthouse, Belmullet, Co Mayo this morning. 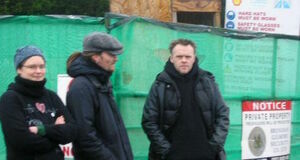 Eight Shell to Sea campaigners are charged in relation to protesting against the Corrib Gas project. Posted in Misc and tagged Shell To Sea at 11:02 am on September 11, 2013 by Broadsheet. 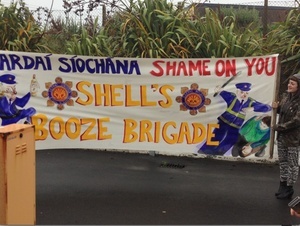 Further to claims in the Observer last Sunday that Shell purchased alcohol for garda officers. . If Shell is certain that the events that its former Mr Fixit company OSSL says took place, are in fact an invention by OSSL, then it is duty-bound to issue proceedings to defend the companies reputation against these scandalous lies. 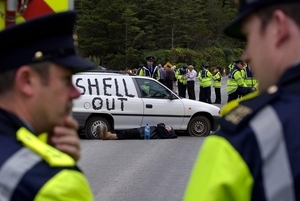 Members of the news media: give Shell and the Garda PR people a call. See if you can obtain a straightforward denial from either that the events revealed in The Observer article took place? At the moment you are being deceived by trickery into believing that Shell and the Garda are innocent of the charges, when in fact they are guilty as hell. Posted in Misc and tagged shell, Shell To Sea at 2:45 pm on August 16, 2013 by Broadsheet.